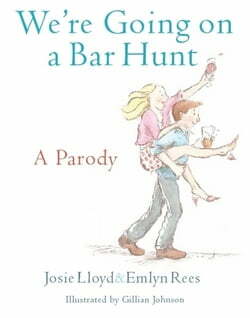 We're going on a bar hunt.We're going to find a cool one.The babysitter's booked.We're not old!Bestselling authors Emlyn Rees and Josie Lloyd also happen to be parents, so they understand the complications of organising a rare night out. In this parody of the famous children's book, two parents set... read more off for a night on the tiles, and encounter a series of watering holes and bars before an alarming encounter with a 'bear' sends them running home to their children.Gillian Johnson is the author and illustrator of the successful Monster Hospital and Thora series for children. Her illustrations bring this story to life, gently parodying the original but adding an anarchic edge as the evening progresses.We're not going on a bar hunt again!